Last week, I shared these Spicy Party Nuts which are the perfect addition to your Super Bowl festivities. 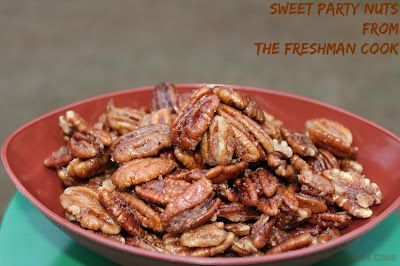 Today I want to share another party specialty, the spicy nuts counterpart, Sweet Party Nuts! 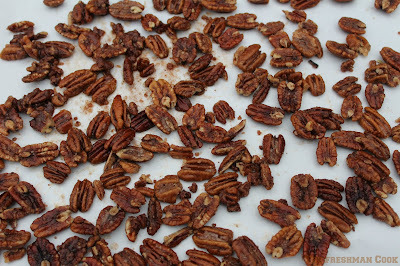 They are very easy to make, and can even be made ahead of time. Set slow cooker to high and allow it to heat for approx. 10 minutes. 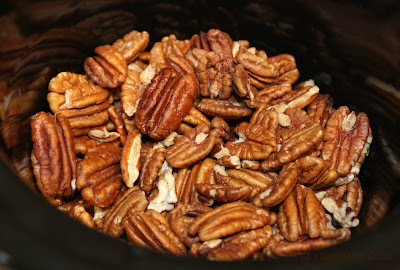 Place nuts in the slow cooker, and drizzle the melted butter over them. 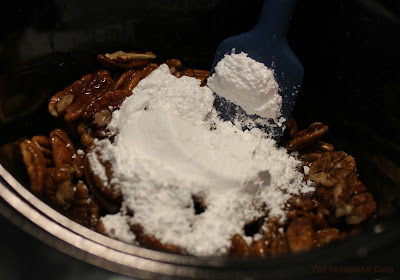 Mix so that all of the nuts are coated. Add the sugar and spices, and stir, so all pecans are coated evenly. Put lid on slow cooker and cook on high for 15 minutes. During those 15 minutes, stir nuts several times. Turn the slow cooker to low and remove lid. 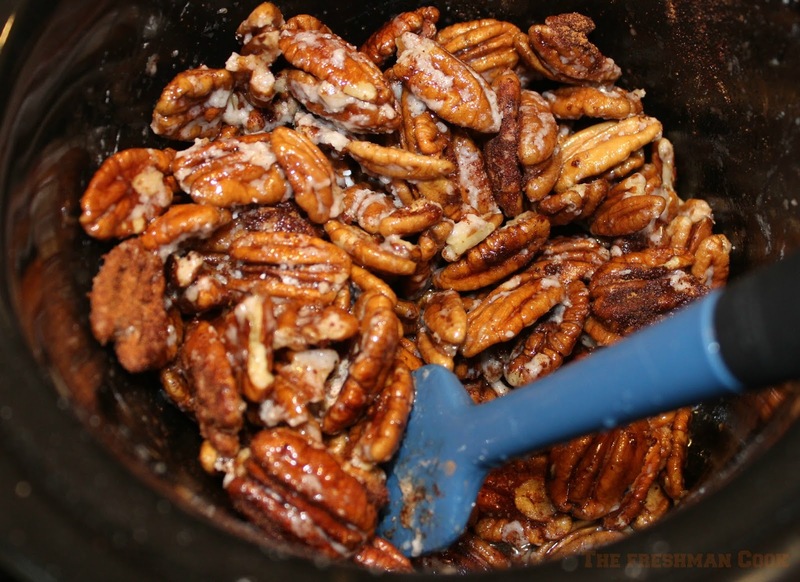 Allow nuts to cook until they are enveloped in a crisp glaze. This will take anywhere from 1 1/2 to 2 hours. Move nuts to a parchment covered baking sheet. Let cool. Serve to guests, or enjoy yourself!